I guess you’ve all heard about the whole Yanny vs. Laurel phenomenon, a.k.a. 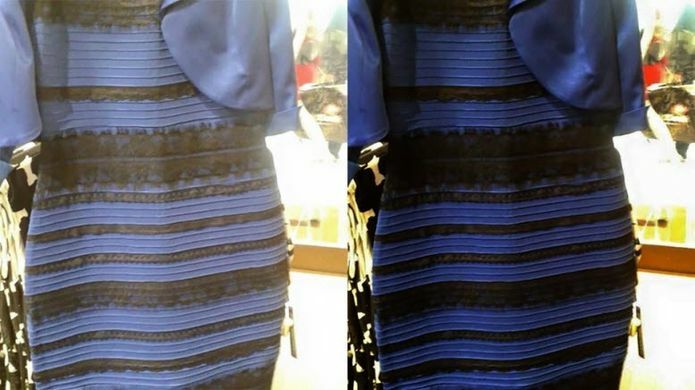 the 2018 version of the black & blue vs. white & gold dress. If not, just google it and you’ll quickly see the overwhelming buzz it created. But why do such stories always come to the fore? Could it be because we’re all obsessed with being right while, at the end of the day, it’s all about perception? 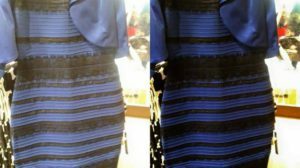 I clearly heard “Yanny” and believe this to be a white and gold dress. But I’m not going to try to convince you I’m right, because nobody really is (OK except maybe for the dress). And frankly, it doesn’t even matter. Instead, I’d like to focus on what caused the whole debate: why does perception matter so much? The answer is simple: because to us, perceiving is believing. Perception is tied with our own reality and well, that’s something we’re generally not too eager to question. Knowing that, what is the lesson for marketing? When it comes to brands, is perceiving also believing? The best way to translate the importance of perception into marketing is by working on brand perception. As in the Yanny-Laurel phenomenon, in marketing, perceptions are critical. They are what customers believe your brand represents, what forms their emotional connection with your products and services, and where they think you stand in comparison with your competitors. And that’s precisely where the challenge lies: you may feel like you know what your brand should represent, but it’ll never matter as much as what your customers think it represents. Because at the end of the day, it’s their own perception that will influence their purchase decisions. So how can you overcome this challenge? Is there a way to craft brand perception for your customers? The good news is yes, you can shift brand perception, and there are even multiple ways to do it. The slightly less good news is that it will take time. Shifting brand perception is a matter of two things: seeing it as a long-term strategy and becoming a conversation generator. What I mean by this is finding ways to create a safe environment in which your customers can communicate directly with your brand. Creating this space will allow you not only to match their perception to your reality, but also to match your reality to their perception and aspirations, by improving your products and services. How to become a conversation generator? Listen first: pay close attention to customer reviews, word of mouth, engage in social media listening. This will be your starting point as you need to know where you come from (current brand perception) to know how to achieve your goal (desired brand perception). Shift from product-centric to customer-centric communication: stop obsessing about new leads and conversion. Make sure you also invest time in bringing deep value to your existing core customers and take their opinion into consideration. They will reward you with exceptional word of mouth. Challenge conventional wisdom: the best way to generate conversations around your products and/or services is to give your customers reasons to talk. Challenge their expectations, be bold, and why not, even provocative (within reason, of course). And yes, this also applies to B2B: your communication can (should?) get off the beaten track! Co-create: don’t hesitate to hand them the mic. Listen to their suggestions for your products, this will help you improve your offer and match reality to their perception. A perfect example of that is the famous Do Us A Flavor campaign by Lay’s potato chips. Match their perception to reality: now that you’ve created this space in which conversations (and perceptions) are generated, make sure you remain consistent and meet your customers’ expectations. Shifting customers’ perception of your brand is tricky but also very rewarding. Don’t be discouraged by the long-term perspective and the efforts you will have to put in before seeing results: consistency is key and brand perception takes time to build, but it will pay off in the long run. Oh and if you’re really curious about the whole Yanny/Laurel phenomenon, I recommend you watch this video by Wired. Not sure how to get started on your brand perception shift strategy? Contact us for a 2-hour brainstorm together with your team. Fun, crazy ideas, and delicious Vietnamese lumpias guaranteed!